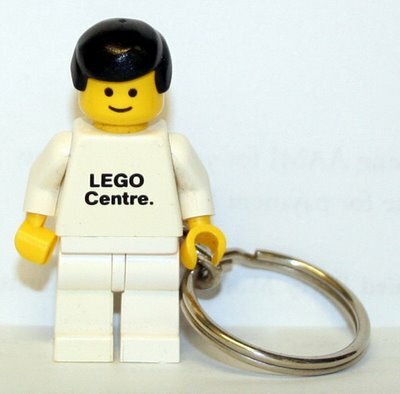 Some of you long time readers who have been following this site since the olden days back in ’06 will remember my excitement at finding an Aussie 80’s LEGO Fabuland mini-figure keychain in a random lot of LEGO. Well Toltoys.com reader Craig had fond memories of these little guys too, and kindly supplied me with some images of his own keychain. There is something ethereal in the face of the classic Legoland mini-figure, a manufactured Mona Lisa wrought in plastic. They are smiling, but not too much, full of mischief, but also happy to chill. They would make a great drinking partner or co-driver on a road-trip. 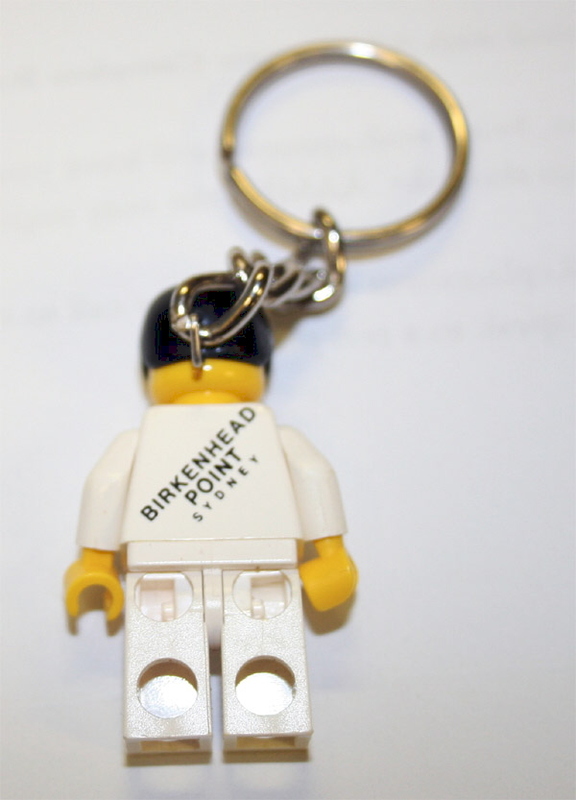 I need to showcase more of these Birkenhead Point keychains, if you have one send me a pic! Special thanks to Craig for today’s contribution. 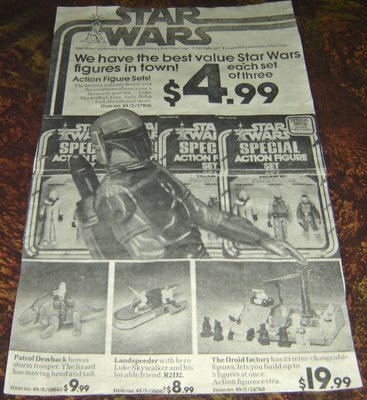 Some of the most sought after pieces in the Kenner US Star Wars line are the “Special Offer” (SO) vehicles. 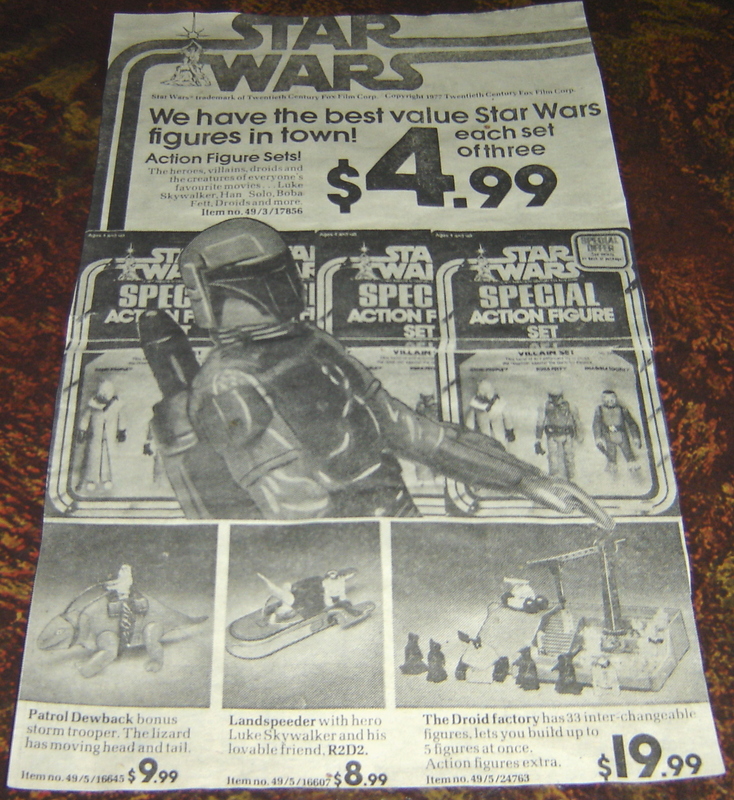 To help move old product and keep large department chains happy Kenner would include one or more free items (usually figures) inside the box, advertising the fact with a flashy sticker applied to the outside. There is a great feature article on the Star Wars Collectors Archive on Special Offers, a must see for all Star Wars collectors! 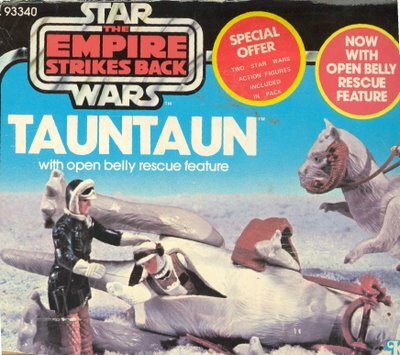 While the Kenner versions have been well documented, a small number of previously unknown Toltoys examples have come to the attention of Australian collectors in the last few years. The first to surface was the Toltoys SO Landspeeder. This has so far been the only SO vehicle to be found in a Toltoys logo box. It is unusual in that it included three figures (Luke, R2D2 and C3PO) as opposed to the US version which had only R2 and 3PO. It is unclear whether the figures were included loose in the box or in baggies, and until a sealed example turns up we can’t be certain. The second one to surface was the SO Dewback. 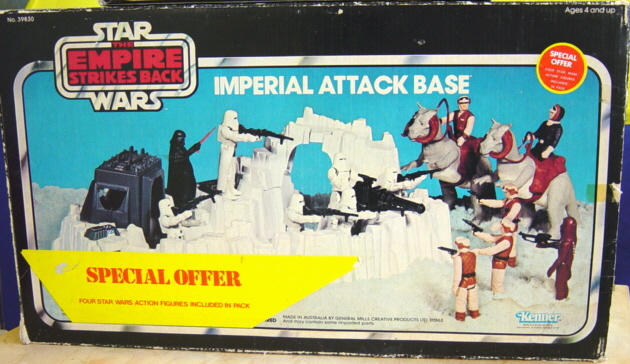 This was a regular Kenner box with a sticker advertising the Stormtrooper figure inside, an offer also released by Kenner Canada for the Empire Strikes Back (ESB). Next came two unexpected finds, the first was the Kenner Tantaun ESB box with a SO printed flash proclaiming the inclusion of two figures. The only proof of this offer is the cut box front above, so again we have no way of knowing which two figures were included. 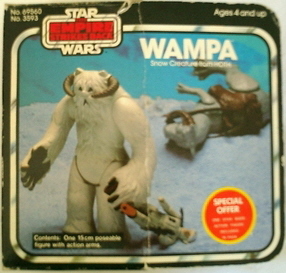 Shortly after the Tauntan find a Kenner Wampa ESB box appeared on Ebay Australia with the same printed SO circle, advising that two bonus figures were included. The item was not sealed unfortunately so again we do not know which figures were included. 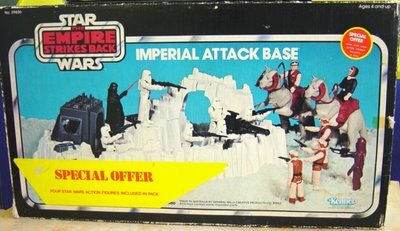 The most recent find is the ESB Imperial Attack Base. This box has the same style small round printed offer as the Tauntaun and Wampa , but advertises four figures as being included rather than two. Not content with the small promotional circle Toltoys added another huge yellow sticker shouting the fact to the world! This box was actually manufactured in Australia, but since Toltoys had been recently acquired by Kenner, it features a Kenner logo. “I was around the age of 10 or 11, so many years have passed since this memory but what I can recall is that I went to a Waltons store in the suburb of Fortitude Valley Brisbane. Waltons seemed to be the store that had the harder to get items and special offers unseen at stores like Target and K-Mart, incidentally this was the only store where I ever saw a three pack for sale. I was in the store looking for the one figure out of the collection that had so far eluded me, a Princess Leia in the white outfit. I started collecting at the release of the 41 backs so I had a fair back catalogue to obtain! 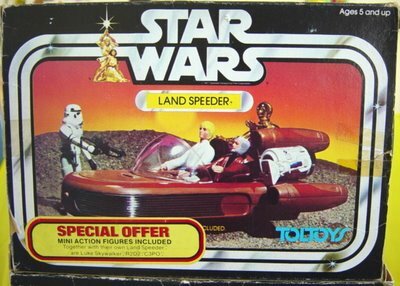 My own recollections of receiving a SO Landspeeder as a child also fit with Paul’s theory of the figures being loose / un-bagged in the box, so until evidence shows us otherwise I’m going with that! Another tantalising piece of evidence we have is the page below from an Australian catalogue of the time. 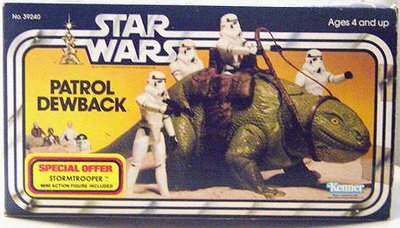 It shows the SO Dewback with the Stormtrooper, but interestingly it lists the SO Landspeeder as only including Luke and R2D2, the same as the US release. I’m not even going to begin to talk about the $4.99 three packs… wow! So far these five items have turned up in extremely limited numbers. 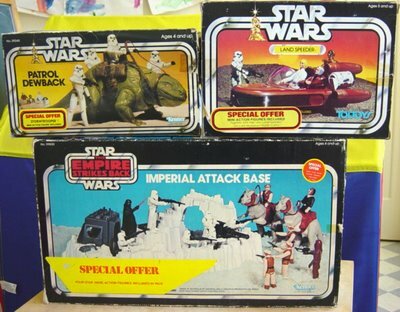 There are two known SO Landspeeders, three SO Dewbacks, one SO Wampa, one SO Imperial Attack Base and only a box front for the SO Tauntaun. Articles such as this one will I’m sure will bring more to collector’s attention, if you have one or know of one I’d love to hear about it. Thanks this week to Paul Naylor, Dave MacLeod, Brody Walker and Dax for the images, info and memories!